There are currently 2 users and 17 guests online. 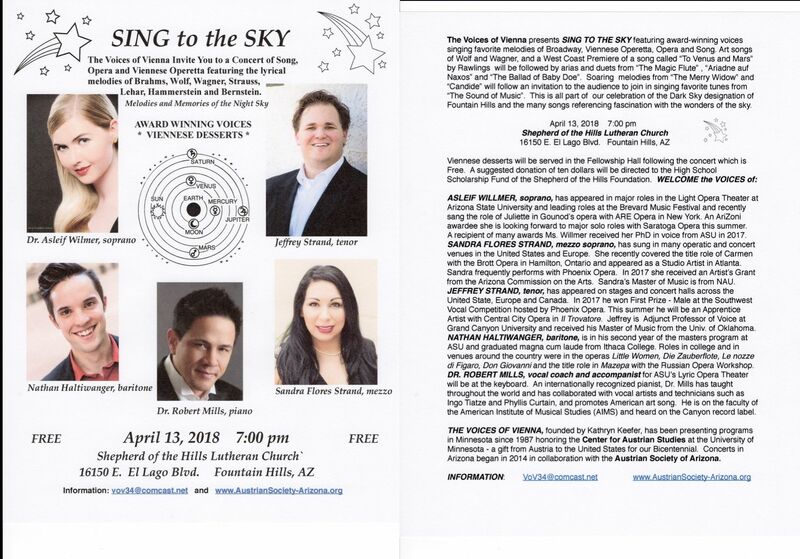 I was recently asked by an organization called The Voices of Vienna for permission to use my song "To Venus and Mars" at a concert on April 13. The here-linked poster has been created for this event. I am referred to on page 2, as "Rawlings." I love the Vienna and Franz Lehár connections! Lehár was my original inspiration to start writing music. It is especially pleasing to me because this song expresses the Objectivist metaphysics in an essential sense.